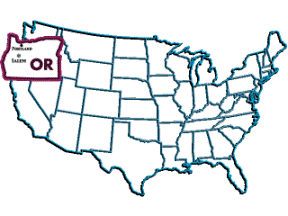 State of Oregon taxes are important to think about when choosing the state you wish to claim as your full time RV domicile. RV families on the road also need to take into consideration Oregon homeschool laws, and Oregon drivers license and Oregon auto insurance requirements. 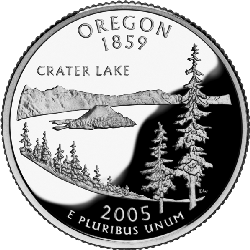 State of Oregon taxes include income tax, but no state sales tax. More items to consider with state of Oregon taxes are the Oregon drivers license and license plates and tags fees. All of these fees vary by state, so these state of Oregon taxes are something to compare and to take into consideration when choosing an RV domicile. Most of these fees are reoccurring. Oregon auto insurance requirements are as follows. Information on how to obtain Oregon RV insurance is also included. State politics might also be a consideration to take into account when choosing an RV home base. 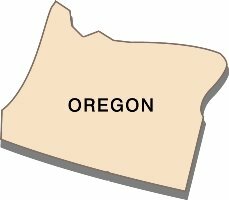 Here is the information on voting in Oregon. Every state in the United States has different homeschooling laws and regulations. Some states are very difficult to homeschool in, some states are very easy, while most states fall somewhere in the middle. Oregon homeschool laws have positive and negative points. Oregon homeschool families must submit a letter of intent, only once, when the child begins homeschooling. If they move to a different district, the new district needs to receive a new letter of intent. Oregon homeschool families do not need to teach a specific curriculum, specific subjects, or adhere to specific attendance requirements, nor do parents need to be certified. Oregon homeschool regulations do require children to be tested in grades 3, 5, 8, and 10. If the child is in the 15th percentile or lower, the child must be tested the following year. If the child again scores in the lower 15th percentile, then the child must be tested again the following year, at which time the district will get involved by assigning a teacher (at the parent's expense) to monitor the situation. The school district can recommend the child returns to public school at the end of an additional year, if testing scores remain low. Though state of Oregon taxes (and Oregon homeschool laws) are probably the big concerns you'll have when deciding on making Oregon your RV domicile state, other information might make a difference as well. What sort of weather does Oregon have, after all you don't want to live half the year under snow! Also check out gun permit regulations, they are a hot discussion point among RVers. State of Oregon taxes not what you're looking for? Don't worry! There are 49 more states to choose an RV domicile from! Check out the following resources to help you to make your full time RV living decision.